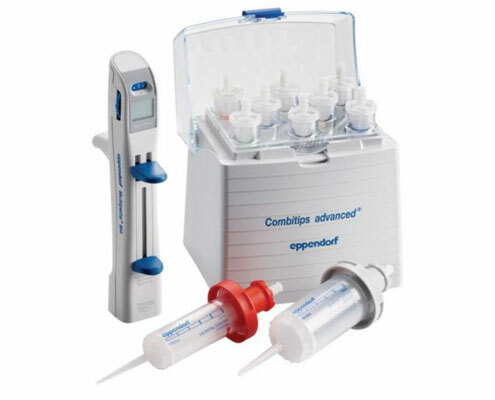 At Pipette.com, our Eppendorf Repeater M4 set itself apart from other competing products with its various unique features designed to optimize its efficiency and effectiveness. With 20 different volume settings, a Combitip recognition and volume display and comfortable design, this product makes a great addition to any laboratory. The Eppendorf Repeater M4 is ideal for those working with a high number of well plates thanks to its ability to aspirate and dispense any solution up to 100 times, decreasing the time spent refilling the tip and saving you time. With a comfortable, ergonomic design that includes a hand rest, this pipette is made with easy use and comfort as top-priorities. Long hours in the lab dispensing solutions can be repetitive and put strain on your fingers, making this design ideal for those that regularly find themselves locked in the lab for long periods of time. No matter what the nature of your research project, the Eppendorf Repeater M4 is flexible enough to suit your needs. With the ability to dispense any liquid precisely and accurately regardless of its viscosity, density and volatility and a volume range of 1ul to 10ml, you can rest assured that this pipette will be beneficial to your experiment. 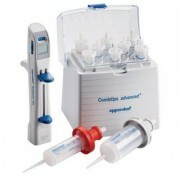 If you’re looking for a flexible, efficient and user-friendly repeater, the Eppendorf Repeater M4 is a great choice that is highly recommended by our staff at Pipette.com. For a complete look at all of our pipette products and various regular promotions, you can take a look here.